Wouldn’t You Really Rather Have A Cadillac? 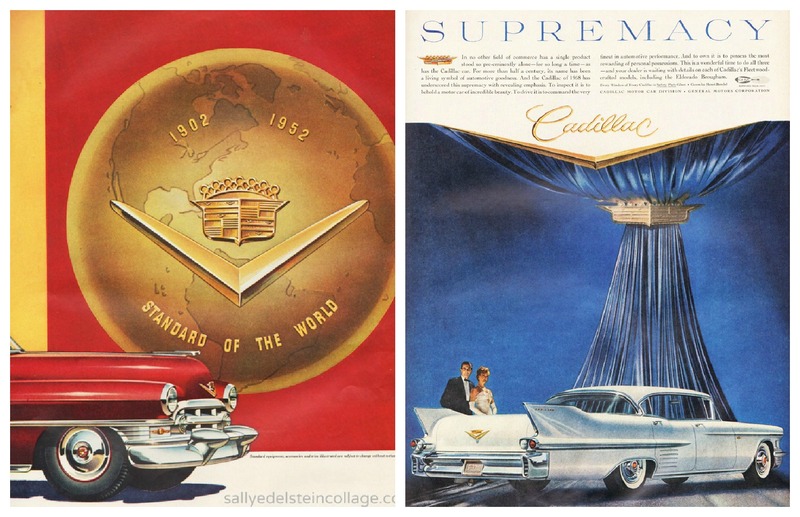 With the conviction of a car salesmen selling a wouldn’t you rather have a Cadillac, Mid-Century Americans were convinced that America was the standard by which the world’s other countries were to be judged. Indeed when you compared we were beyond comparison. No other country ever inspired such widespread admiration as the USA, the Cadillac of country’s. 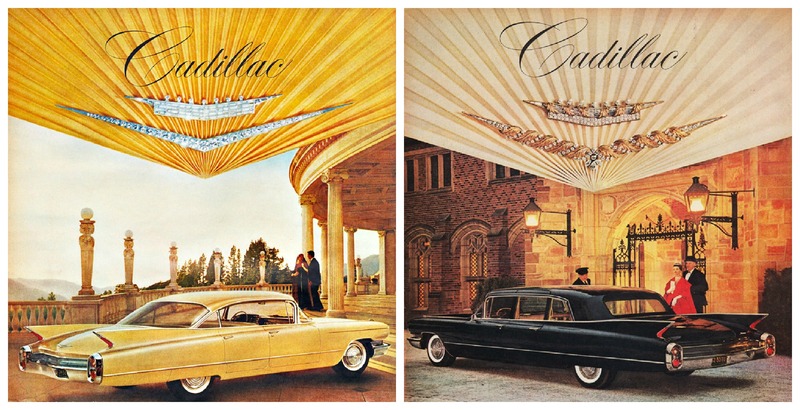 And when it came to cars, well, there was only one – the Cadillac the “car of cars” that reigned supreme. In the years before I would go to camp, summer days were more often than not spent as guests at my grandmother’s beach club. For Nana Sadie, summer marked the beginning of her big social season as a member of the ritzy El Patio Beach Club in Lido beach. Besides rhumba lessons refreshed, her white mink stole was taken out of cold storage and a new bouffant dress would be purchased at Bonwits for the big July 4th dance. Early every summer morning in the late 1950s and 60s’s, my grandmother and her Big Apple cronies would pack up their belongings in her majestic wouldn’t-you-rather-have-a-Cadillac Coup de Ville and be off, leaving their spacious classic 6 pre-war apartments and the blistering heat of the NYC for the breezy beach club on Long Island where they all shared a on room cabana. They would arrive to pick Mom and me up just as the neighborhood men in their light tropical suits, were leaving for work. Normally rushed commuters idled in their sawed-off cut-down compacts; necks craned out of Plymouth Valiant’s, Dads gawked in Dodge Darts and my father lingered just a bit longer in his Ford Falcon. Wilting in his wash n’ war suit, he ogled with envy as the long, clean, graceful, sweep of a car would confidently glide up our humble driveway. Even self satisfied-so-proud-of- his -choice Jack Shapiro who boasted that his world was brighter …his heart lighter …because he was driving an Oldsmobile Super 88 Holiday Scenicoupe, now had lust in that same heart. While Dad looked on with amazement as if it were a Douglas DC-8 Jet pulling up on a runway, to me the Cadillac was nothing short of a Beauty Queen strutting another sort of runway. The gleaming, all-American toothy grill up front, a glittering cliff of eye blinding chrome was as dazzling as a Pepsodent smile. 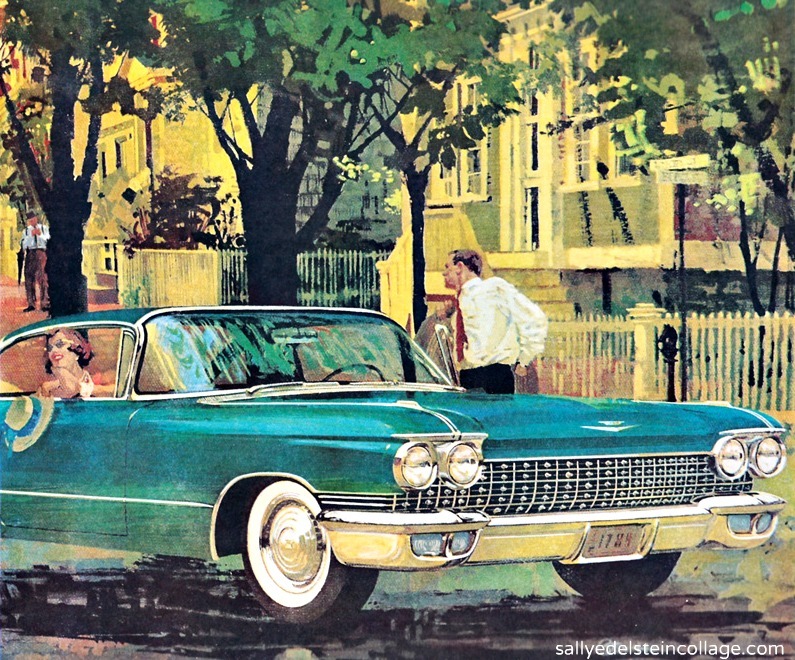 But it was the garish sun reflecting off the metallic Kensington Green magic-mirror-acrylic finish that blinded me; it’s beautiful to behold no -end -in-sight tail fins with pendulous bomb like tail lights that bedazzled. Even at rest, it seemed in motion a rich deep sense of power in reserve. Suddenly our stylish 1957 Plymouth the car with the Forward Look, the one everyone recognized as the new shape of motion, the car that looked straight into tomorrow, was suddenly…so yesterday. 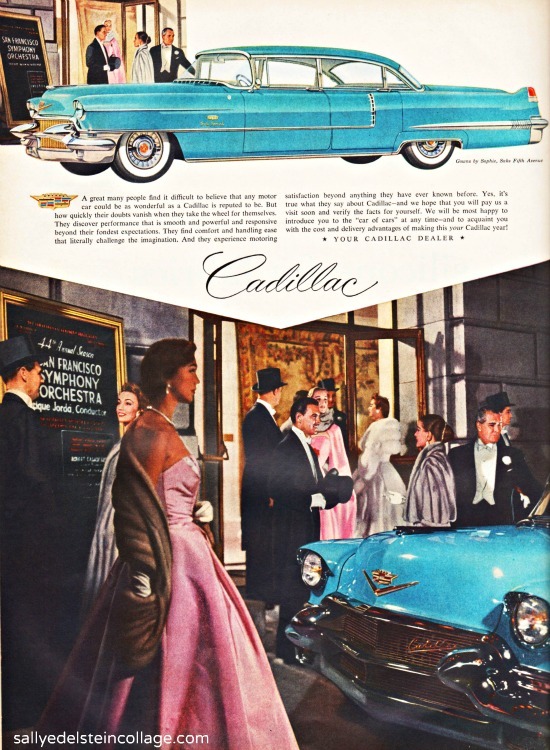 This Cadillac was majestic and elegant without precedent-no other car so heralded the future- no other cart so admired or envied, this was what tomorrows travel would be like. A surprising blast of arctic air would greet me as soon as I opened the large doors to the car transporting me into a world of luxury. I had never ridden in a car with air conditioning which to me was something reserved for air-cooled movie theaters and department stores. The air was so jet cold, as frost-free freezing as any Frigidaire, keeping passengers , like a head of iceberg lettuce crisp and fresh longer. With a cigarette lighter conveniently located in the back seat, Mom wasted no time in lighting up a springtime fresh Newport. The frigid blast of Freon skillfully swirled that refreshing hint o’ mint smoke all through the hermetically sealed car- as refreshing as an ocean breeze! Settling into the car, I could tell Dad was right. Just as the new glamorous jets were designed for the utmost in graciousness aloft, their décor unusual and exciting, I felt like a sophisticated globetrotter in an elegant United Airlines jetliner. The ride was startling jet smooth and sumptuously quiet like traveling in a sound proof cloud so luxurious you felt airborne. And like the welcome sense of privacy that the deep, wide seats gave jetsetters with room to s-t-r-e-t-c-h out, the made- for- comfort, decorator styled interiors of the Cadillac had room to spare, to relax in the opulent appointments beyond anything you could imagine. Sinking deeply in the cool green metallic top grade Florentine leather, I could tickle my toes in the deep pile rug, mesmerized by the fully electrified power windows. This was motoring at its most glamorous. I had one of those beautiful monsters, yes air conditioned too. Mine was not aanew one but used but still the luxury was there. I could cruise up the Sacramento Valley in mid August and not break a sweat, the monster got 18 mpg cruising along at 75mph.. That was living, A great car, mine was 1952 so i only had small fins. I still drive two fifties era technology cars, 1974 and 1981 GM Holden utility trucks. [ Like a Chev Camino, but a little lighter ] They both have over 350,000 miles on the clock, and will go forever , or there abouts. The one I drove mostly has cost me only about $1000 in repairs in the last 8 years, and 70,000 miles. Even the new Holden Commodore sedan, still runs a modified late 50’s V6 Buick motor, so, i guess we are still in good economic times in the sense, that we can still get around cheaply enough. Certainly we are in fossil fuel boom times. You can buy a nice 12 year old V6 commodore for $1500, with lpg system fitted. We are doing okay. My brother is a Doctor, and he wants a 60’s Bonneville. He concedes though he wouldn’t want to be a doctor in the 50’s as technology now is much, much, much better, and therefore doctoring is less stressfull. 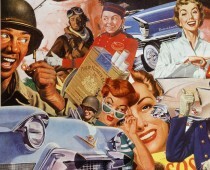 I guess what would be nice is to see a combination of 50’s laid back style, and values, with some modern convieniences. my authorization. Do you know any ways to help stop content from being stolen? I’d really appreciate it. That is always a concern, and other than copyrighting your material it is difficult. How do you track the material of yours that keep popping up all over the web?